Southeast Asia (SEA) may be the up and coming place to party, work or ‘find yourself’ – but these luxuries and drunken-fuelled epiphanies can sometimes be surrounded by Good Morning Vietnam-esque scenes of poverty and corruption. Currently based in one of the most advanced SEA cities, Singapore, I decided to travel to Cambodia; a third world country renowned for its ‘Jungle Atlantis’ and backdrop role in Tomb Raider, but also a country still trying to forget the disturbed memory of the Khmer Rouge regime. I purchased a ‘Gold Class’ night bus ticket to take me from Sihanoukville to Bangkok, a route that cut through the heart of green farmland under mossy cliff-faces, and archipelagos of rice-paddies. 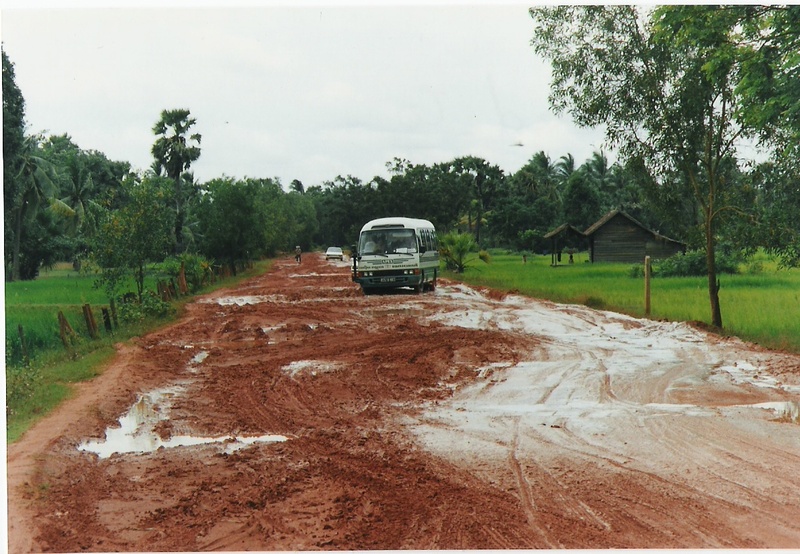 It was a journey that both the night-bus operator and google maps assured me would take around 14 hours, although it was no well-kept secret that just under 10% of Cambodia’s roads were properly paved. The year before I had taken a ‘Standard Class’ night bus from Bangkok to Phuket which had been largely enjoyable, so purchasing a ‘Gold Class’ ticket for Cambodia placed images in my head of a leisurely sleep to the setting sun over Cambodian farmland, and being awoken at dawn by a continental breakfast served by a beautiful in-bus waitress called Lunita. This of course did not happen. Instead an optimistic 14 hour trip turned into a 26 hour hell-hole, travelling on roads more complicated than Tom & Jerry’s relationship status. Dusty, narrow and about as smooth as one of those off-road tracks they test Land Rover suspensions on, Cambodian roads are not for the feint-hearted, or for anyone with lower-back troubles – the highways have been greatly effected by the civil war, and although restoration work has been ongoing since the late-nineties, it is still short of international standards. If you’re expecting to simply nod off on the bus-bunk-bed like an under-dressed Sleeping Beauty; with working air-conditioning and a pristine-clean bed, then you should probably book a flight with Angkor Air; as I rested my cheek on a dribble-stained pillow, and wrapped myself in a blanket stickier than a used condom. The cheapest form of transport, besides push bikes, are mopeds, and Cambodian roads are littered with them. This makes for a rough ride as the night bus driver has to erratically negotiate his way through oncoming traffic as if trying to level-up in Temple Run. Don’t expect to be awoken in the middle of the night by a Prince Charming with dreadlocks, on my trip I was prodded awake by our driver and told to shift over in my bunk bed to allow a frail old woman and her two grandchildren to cosy up and share my space. Bus tour operators do sometimes over-book the bus just to make up for any last-minute cancellations, so be warned. In the end I gave up my bed and tried to catch up on sleep in the bus aisle. 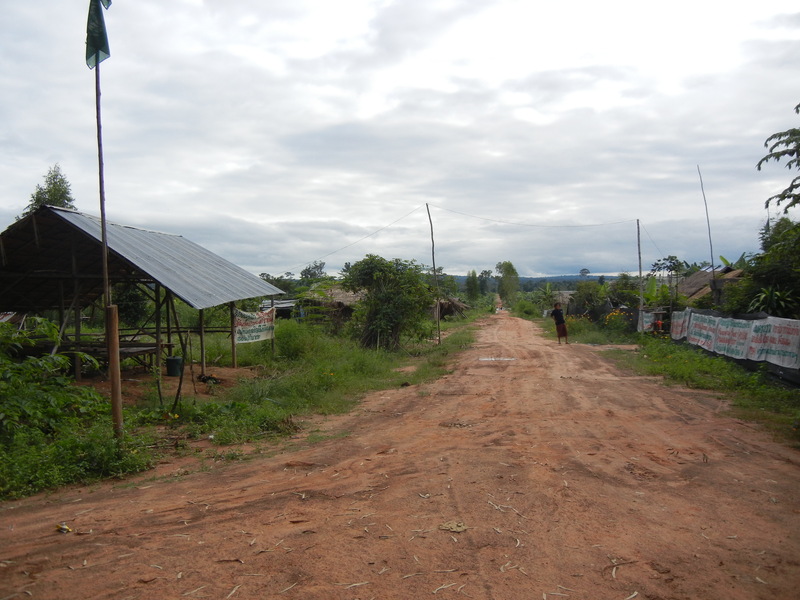 The annual income in Cambodia is around USD$2.60 per day, so many cannot afford to drive or fly – therefore journeys over land by locals are taken in cheap, crowded buses. 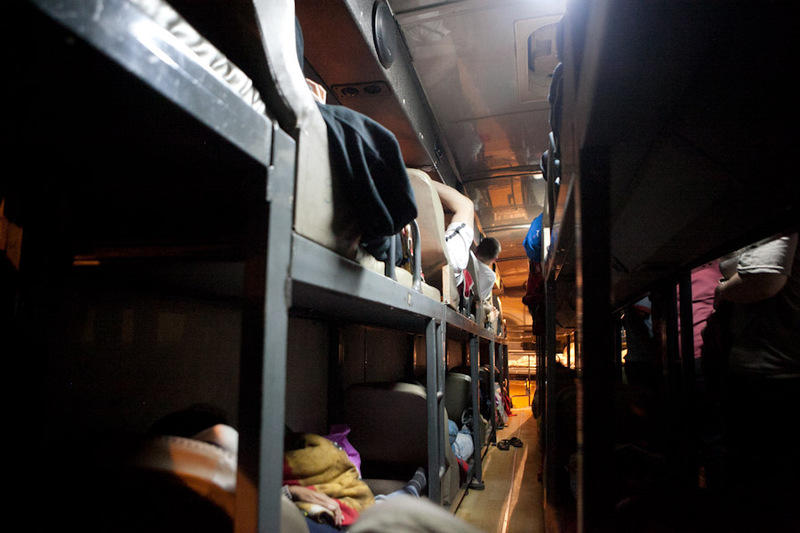 At around four in the morning the bus came to a halt and we were thrown off (the grandmother carefully passed down like a fragile Leek at a grocery store), and ushered into a stuffy mini-bus with little air-conditioning. The journey had been well over 10 hours and we were now informed that this mini-bus would be a pleasant three-hour journey – it was to be six hours, before we were transferred into another bus and promised, once again, for a short ride. Although this journey is painful, the aesthetic beauty outside the window of golden temples and spring green fields is enough to paint a lasting image in any traveller’s mind. Yes… this actually happens. Despite travelling on a stretch of road which is about as smooth as a pineapple, the driver waited until the dead of night to turn off and head into a distant village on an even rougher road surface. It turns out the driver was picking up a lady friend, who proceeded to sit on his lap whilst he tried to navigate the bus back to the stretch of road that lead to the Thai-Cambodian border. We were travelling pretty smoothly until the bus came to another halt, and his lady friend got off. Wandered out to the middle of a rice paddy. Pulled down her trousers and squatted to take a s**t [probably on someone’s soon-to-be lunch] whilst the beautiful Cambodian morning sun rose in the backdrop. It was like a scene painted by Monet. After she was done, she returned to the driver, and remained perched on his knee for the rest of the trip like a self-satisfied lap-dog. I learnt that this sort of occurrence was not uncommon, and even in bustling cities like Phnom Penh would you find locals defecating on busy side-walks. 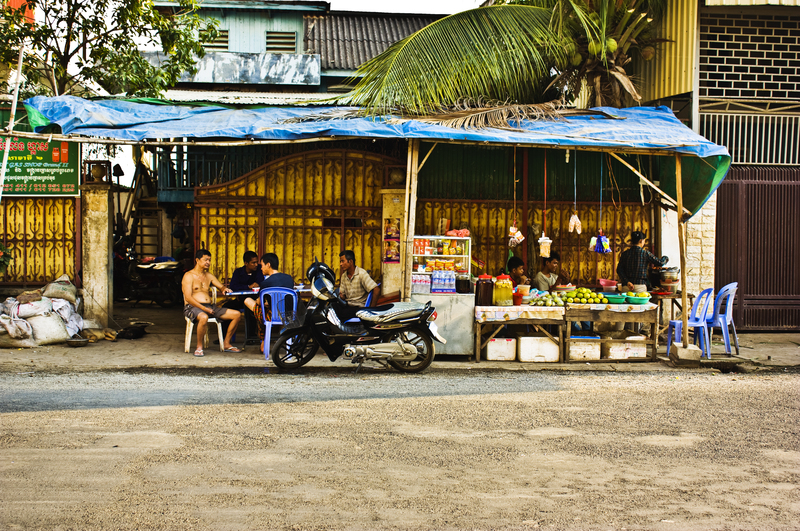 Unfortunately many bus companies have deals with road-side cafés to bring as much trade in as possible, this is an alternative, legal way to begging of making money from tourists. One guy on our bus got badly ill from food purchased at the café, and unluckily had to endure the remainder of the six-hour jerky bus-ride with an unsettled stomach, made worse by the scorching heat and constant breaking. Arriving in Bangkok felt as if I had reached my very own Ithaca within Homer’s Odyssey [not the guy from The Simpsons], and although it was a great relief to finally be off a Cambodian road, I missed that special sense of attachment that Cambodia seems to cast on worldwide travellers that make them want to revisit time and time again. 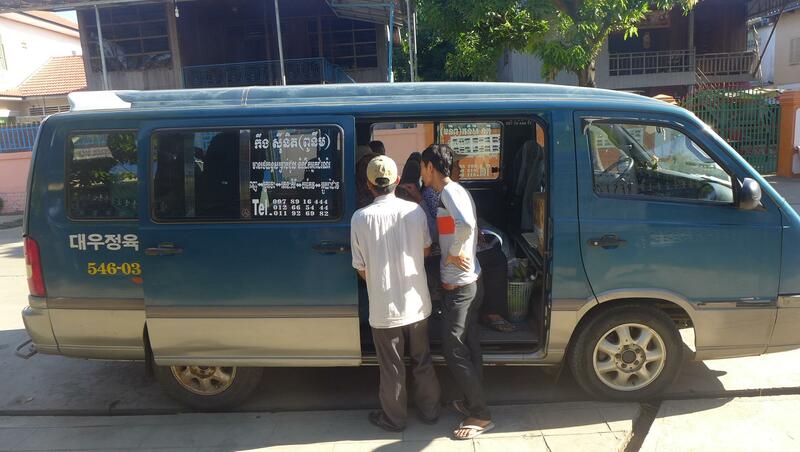 Side note: If you are visiting Cambodia, then their transport simply acts as a mild deterrent. The country is incredibly stunning, and a personal favourite… also an ideal business opportunity for any prospective highway developers, or roadside strawberry sellers looking for a new money-making ground. wow, what a roadtrip. i feel this is harder than my bacolod challenge! Have a great time in Bacolod! i have returned. the way back is similar to your ordeal but it involved planes and ferries that broke the stress scale.